If you are like me, you like to keep the learning units in your classroom as streamlined as possible. 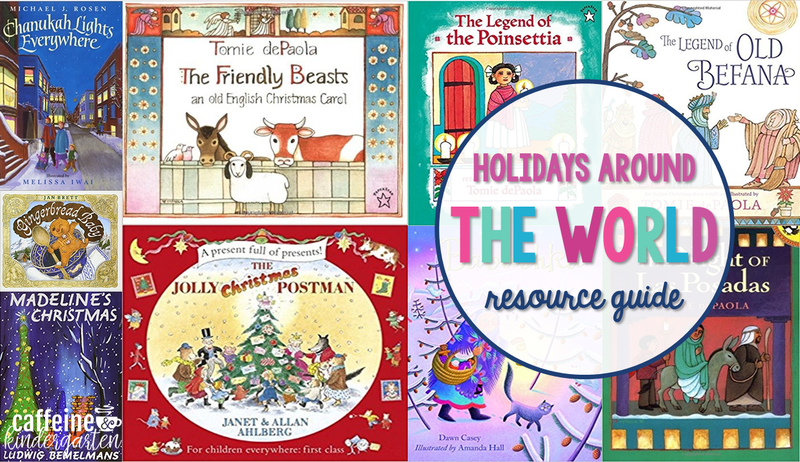 When I teach Holidays Around the World, I love bringing that learning into my reader’s workshop time by using texts that support what we are learning and tell good stories. I have done a lot of searching for great stories that reflect cultures in other countries. 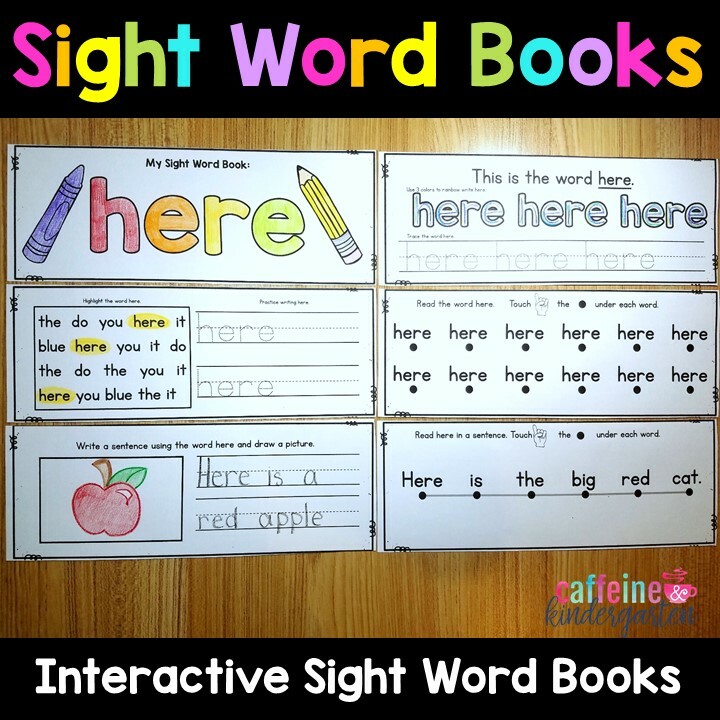 I am ranking these books for you in order of my favorites and usability in the classroom. I love the story of Old Befana! 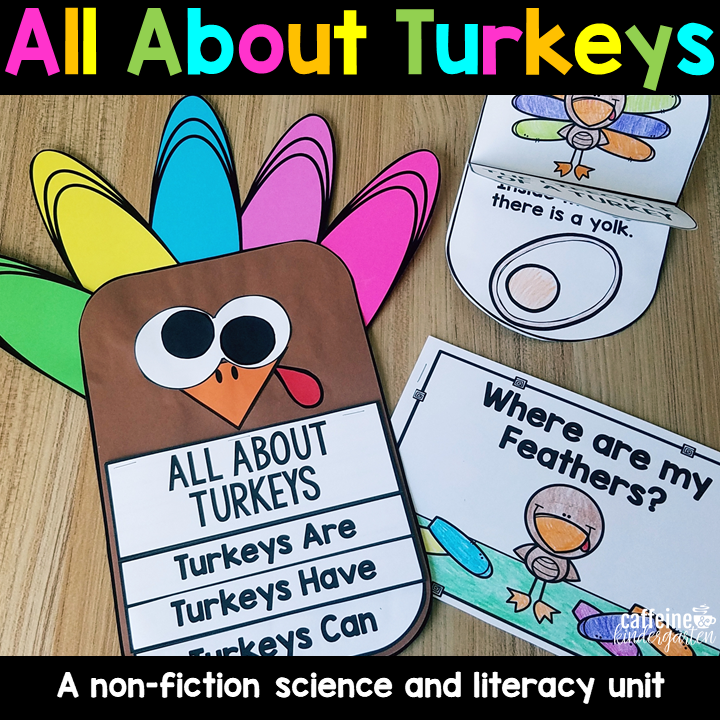 This is one of my favorite Christmas traditions to teach during our Holidays Around the World Unit! 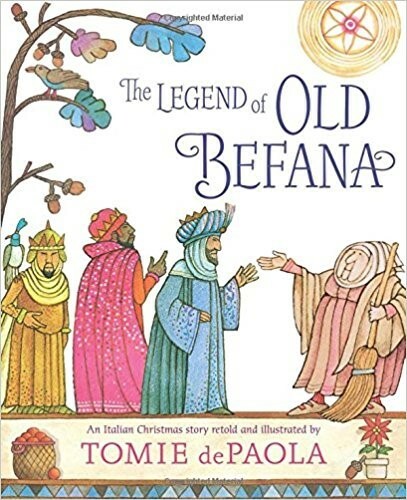 This book, The Legend of Old Befana by Tomie dePaola tells this story in a sweet way perfect for a primary classroom. The old woman sees a parade passing by and a beautiful star but cannot stop her chores to join in. When she finishes, it is too late! Will she ever find the holy child? 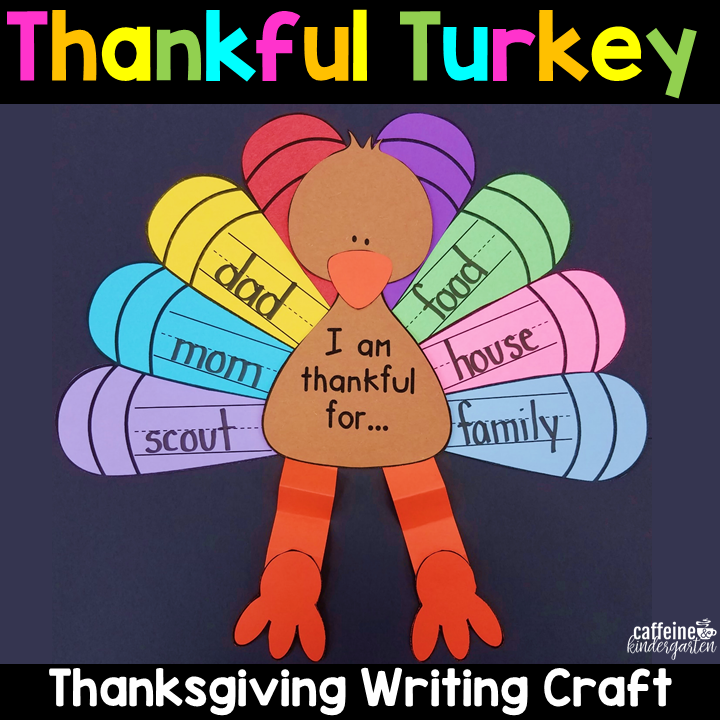 While you are learning about the Christmas traditions in Mexico and making your poinsettia wreaths, this is a beautiful story that children will love. 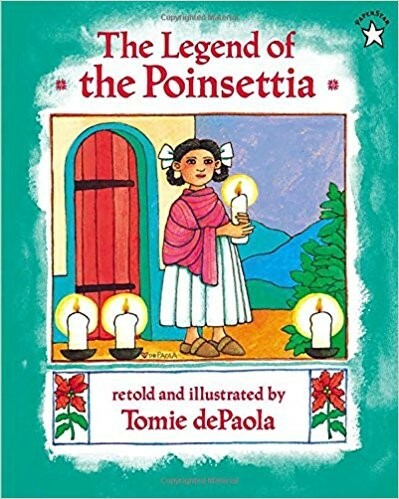 The Legend of the Poinsettia, by Tomie dePaola tells a story of a little girl who’s love creates a Christmas miracle. Help children understand that Christmas giving comes from the heart with this precious story. 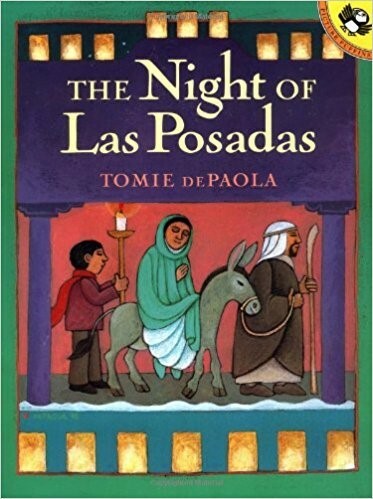 This story, The Night of Las Posadas, children learn about why and how children celebrate Las Posadas. What happens when the stars of the parade get caught in a snow storm? Will they let everyone down? Can a miracle save the day? This is a delightful story about mystery, magic, and friendship! Treva notices that all of their Christmas decorations, gifts, and even favorite desserts go missing! When she discovers the thieves, an unusual friendship develops! 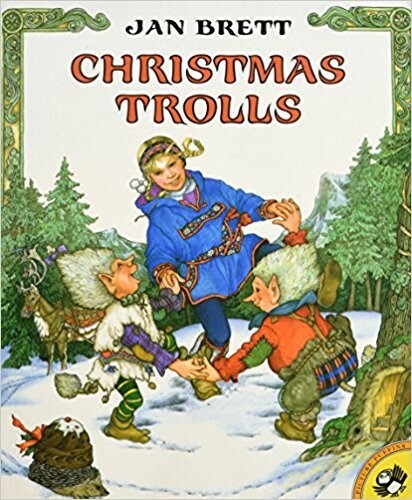 Jan Brett’s story telling and illustrations in, Christmas Trolls are as beautiful as ever! Patricia Polacco is one of my favorite authors. She writes children’s books in ways that really tug at heart strings and leave important life lessons about love and friendship. This story, The Trees of the Dancing Goats, is no different. 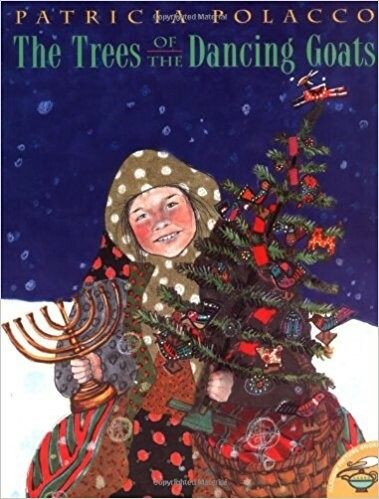 Although this story does not take place in Israel, it is a story about Hanukkah and sharing the gift of love with friends who have different traditions. An incredible story of love, friendship, and community. During our Holidays Around the World unit we talk about how in Germany families love to decorate with gingerbread. This is my favorite re-telling of The Gingerbread Boy. 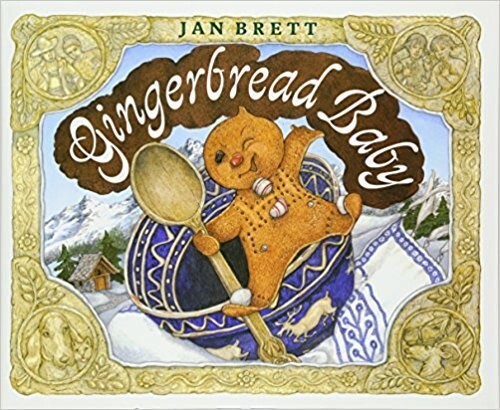 Jan Brett’s, The Gingerbread Baby has beautiful illustrations. I love the little “sneak peaks” on each page that give hints to what is going to happen next. We use these to make predictions while reading. I also love the ending of this tale, it is a little bit different than the rest. The Friendly Beasts, adapted by Tomie dePaola, is a traditional English Christmas Carol turned into a picture book. The carol focuses on the animals who were present at the birth of Jesus. Who doesn’t love Madeline? This is a sweet Christmas story about how 12 little French school girls get sick during Christmas. Even their teacher falls ill. How will Madeline cheer everyone up and forget about their sniffles? I love the themes of friendship and compassion in this story! 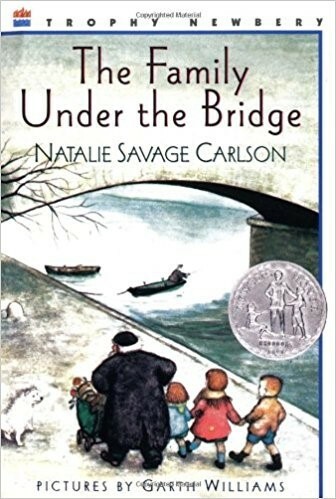 In this story, The Family Under the Bridge, a Parisian man who lives on the streets and chooses to live alone is faced with a family who needs his help. Will he give up his solitary life to help this young family? Will the magic of Christmas change their lives forever? 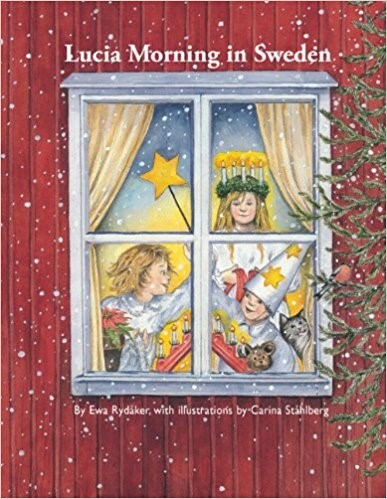 This story, Lucia Morning in Sweden, is all about St. Lucia Day is told from the perspective of the children. This is a great point of view story for children to learn about this special holiday celebrated in Sweden. 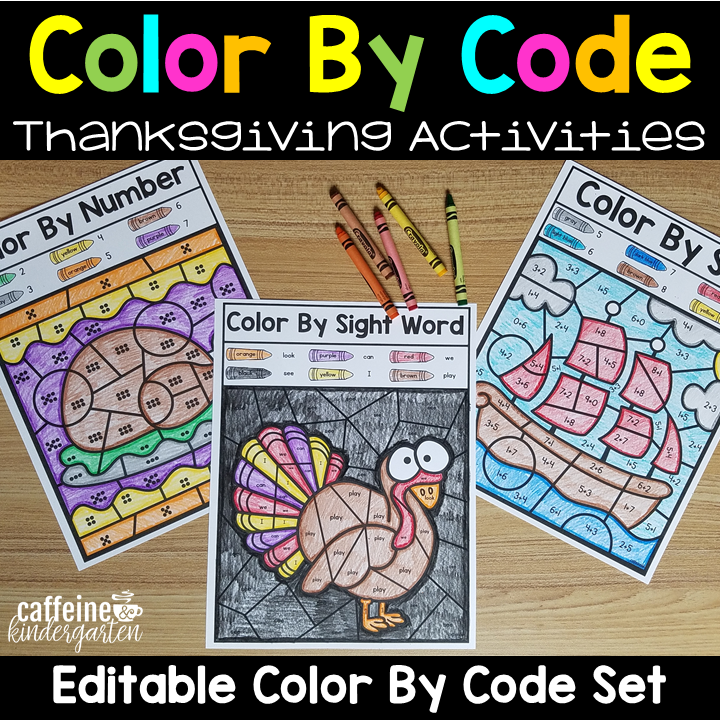 Learn what the children see, smell, and taste on this magical morning. 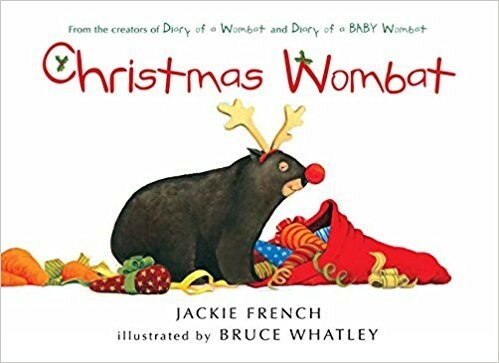 This is a cute and simple story about a Christmas Wombat and what his Christmas looks like. Your students are SURE to giggle as you read about the Christmas wombat’s antics that end with an accidental ride on Santa’s sleigh! BONUS: Teach your children about wombats later in the day for an easy science lesson! 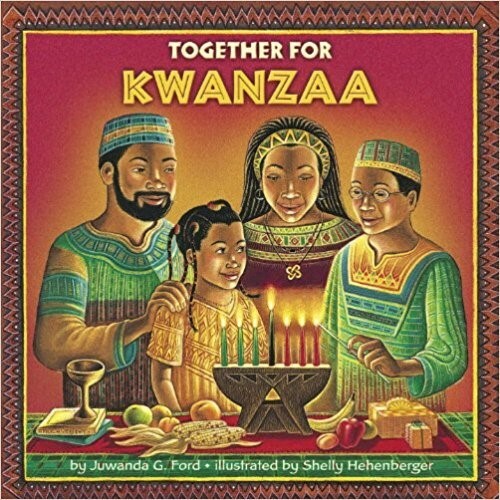 One of the most important themes when celebrating Kwanzaa is unity and family. In this story, Together for Kwanzaa, Kayla finds out that her brother may not make it home to celebrate with the family. Laced into this sweet family story are the traditions of the holiday. There are Rookie readers for several holidays. I love how these are written simple enough for young listeners yet still highly informative. 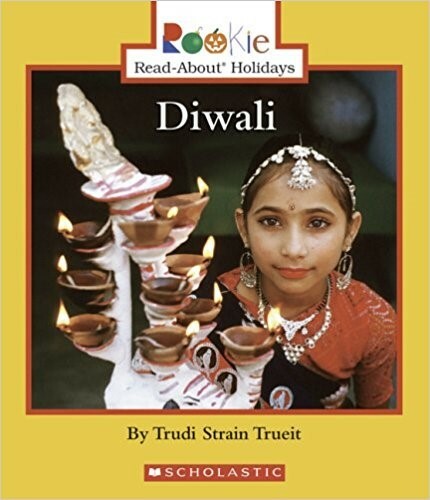 This reader is full of colorful pictures that will help your students learn about Diwali and see how beautiful the traditions of this holiday are! 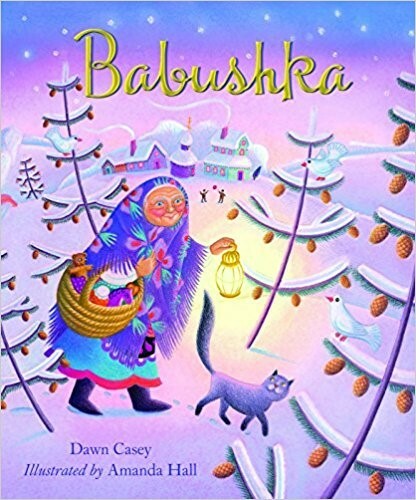 In this beautifully illustrated book, Babushka, children will learn the story of Babushka and why she brings gifts to the children in Russia. This is a great book to cross with The Legend of Old Befana and complete a compare and contrast activity. 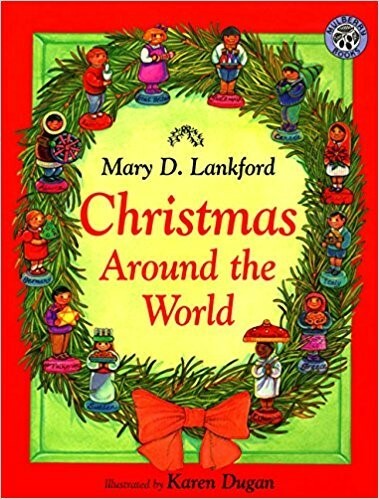 This book, Christmas Around the World, is a great guide to how Christmas is celebrated in multiple countries around the world. 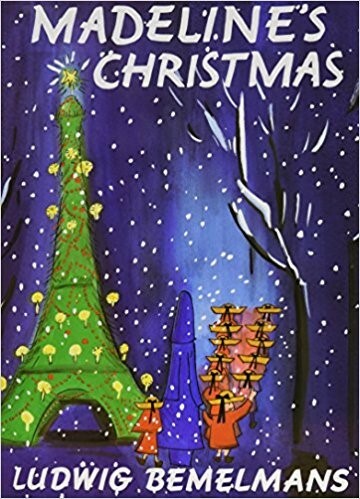 This book describes the sights, sounds, traditions, and tastes of Christmas in Australia, Canada, Ethiopia, Germany, Great Britain, Greece, Guatemala, Italy, Mexico, The Philippines, Sweden, the United States, and Alaska.